The Scottish Parliament hosted a debate on the proposal for Robert Owen to feature on Scottish banknotes on Thursday 3rd June. You can read the debate here. 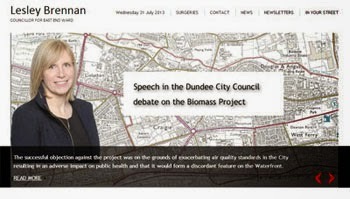 You can read a BBC report which was compiled prior to the debate here. The Guardian on Friday morning carries an editorial which calls for Owen to be commemorated throughout the UK. I think that government at all levels should promote co-ops more than they do at the moment. I have signed the Bank on Owen petition and would urge everyone else to do the same. In the debate in the Scottish Parliament it was good to see cross-party support for this proposal. You can read more about this by reading my earlier post on this issue. On Thursday afternoon a number of councillors and council officers got the opportunity to visit the new Kingspark School. I've visited the school at its old site and I've always been really impressed by the work of the teachers and pupils at this school. The children and young people have a range of special needs but they do really well in their work. I was impressed with the new building which was commissioned by the former Labour-led Administration. I wish the pupils and staff well as they move into their new school. Tonight I attended a meeting of the Community Spirit Action Group which operates in the north of the West End ward. I am always really impressed with this group's commitment to their community. 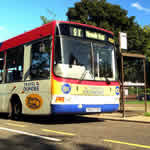 The meeting had a presentation from Lawrence Davie of National Express Dundee on changes to bus services in the city which will come into force at the end of June. Details of the changes can be found here, and hard copies of the new timetables will be available next week. There was also a very interesting discussion about anti-social behaviour and how it can be dealt with. Tonight's Evening Telegraph carried a report about concerns about road safety at St Joseph's Primary School. Like many other people I have supported the ongoing campaign at St Joseph's and other schools to promote road safety and get the message across 'Don't Park here'. I do think that there is a need for more work at St Joseph's. 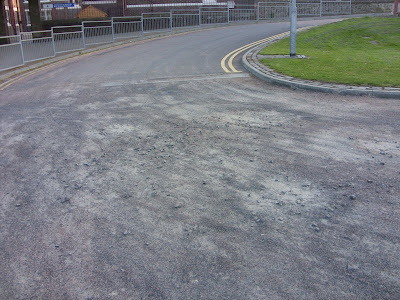 There are clearly issues about the standard of the 'car park' at Wilkie's Lane on the other side of the school. I will be contacting the Education Department to find out what else can be done to ensure that road safety is promoted. 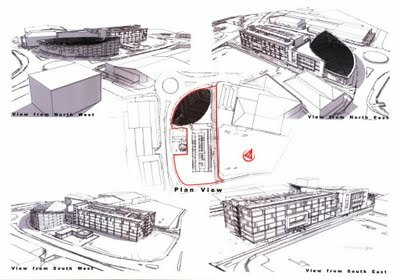 It is also important that these sorts of issues are considered in the design of the new school proposed for the former Logie site. 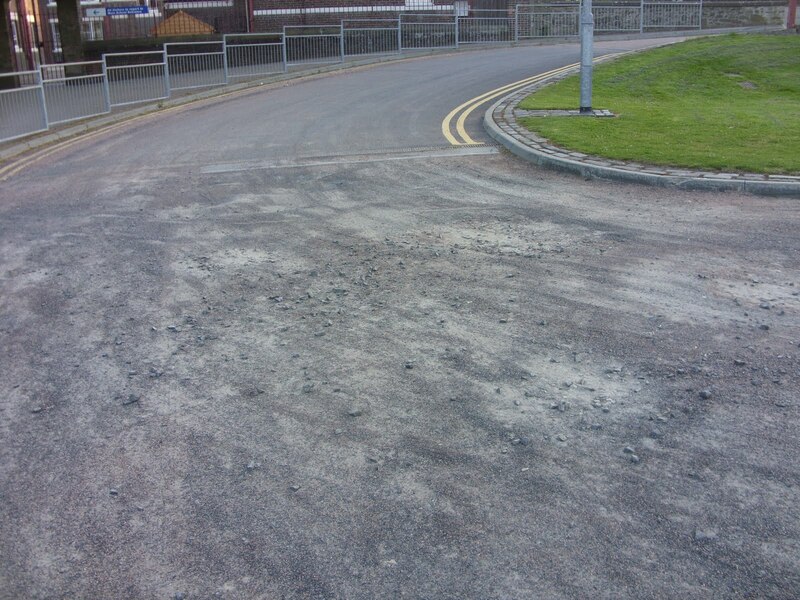 The picture shows the state of the 'car park' at Wilkie's Lane. 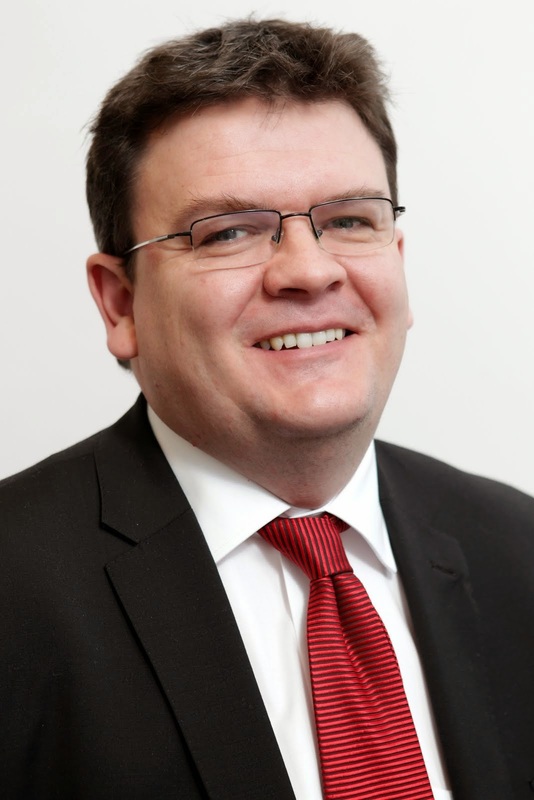 "Today's news from the Scottish Government, is essentially a reannouncement of the SNP government's future school building programme from which they will part fund the refurbishment of Harris Academy in Dundee. I am concerned to see that my earlier predictions about the delay in making this programme a reality are unfortunately correct and a start on site is disappearing into the future. Unfortunately, it would appear that a pupil entering Harris Academy in S1 in August will probably need to wait until they are in S5 before they enjoy the new facilities promised. 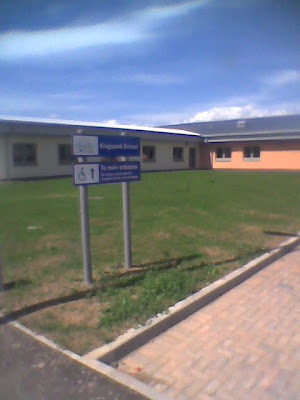 Right now MSP for Dundee West, Joe Fitzpatrick, must be feeling rather silly since last September he was insisting on Newsnight Scotland that a start on Harris Academy would be made before May 2011. With my colleagues in the Labour Group, I remain committed to trying to find a way of beginning the rebuilding of Harris Academy sooner rather than later. Later this month the Director of Education has committed to bring forward his delayed review of the school building programme in the city. Perhaps that will have more detail and some options for us to examine?" 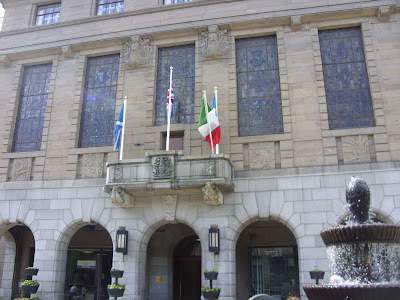 I welcome the flying of the Italian flag at the City Chambers t oday to mark Italian National Day (Festa Della Repubblica). I was approached by constituents of Italian origin who attend the Club Romano in the West End to ask if the flag could be flown to mark the day. I am pleased that the Italian flag is flying today to mark the Italian National Day, I want to thank the council officers who made this possible. There is significant Italian community in Dundee and they have made a real contribution to the history of the city and it is right and proper that this contribution is marked in some way. I hope that those who are celebrating their Italian heritage today enjoy their day. 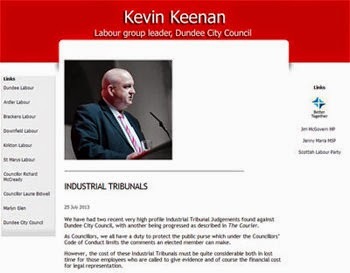 Dundee City Council has published the salaries and expenses of all councillors for the financial year 2009/10. 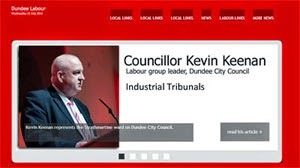 You can read these here, the other side of councillors receiving what is now referred to as a salary after the 2007 election was that there should be a greater emphasis on training you can read the council's report on councillor training here. I have attended most of the training which has been made available I do think however that there is a need for more rigour in ensuring that we have appropriate training and that it is not always a session where councillors sit passively and listen to a presentation. This afternoon I received a briefing from the Housing Department about investment plans for the West End. Last week the Housing Committee agreed investment in council housing in a number of areas of the West End. You can read the report here, the relevant pages are on pages 10 to 15. It was important to get a briefing on this issue which effects residents in the Tullideph area, on Blackness Road, and in the City Road/Pentland area. As ever if any residents have any questions about this I am happy to help. At lunchtime I attended a meeting of the project board which is looking to deliver the replacement for the Olympia Centre. This project developed when I was the Leisure, Arts and Communities Convener and it was a Labour manifesto pledge to deliver a new pool. I think that this project is exciting and I look forward to work starting before too long on this important project. This morning I attended a meeting of the Dundee Fairtrade Forum, this was a very interesting meeting which looked at ways of promoting fairtrade in the city. I want the City Council to offer fairtrade products as a default at all events. I will be contacting the City Council's Chief Executive to ask him to ensure that the council does more to promote fairtrade. 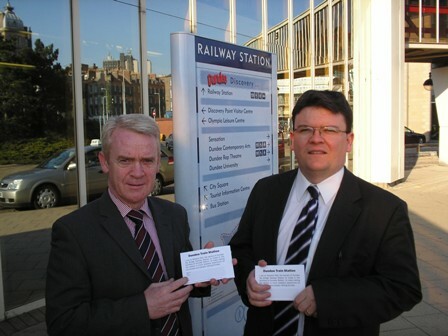 I was pleased to hear about some funding which has been made available for Dundee Railway Station. This is welcome but it does not go far enough. Jim McGovern, the recently re-elected hard-working MP for Dundee West, has welcomed the announcement but has stated that he will continue to campaign for a major overhaul of Dundee station. 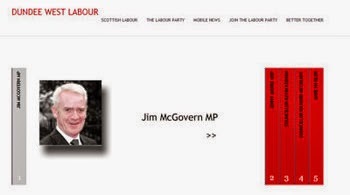 Jim is right to do this, and I'll be joining him. The Railway Station is one of the first thing that visitors to the city see and I think that in general it gives a poor first impression. I'm a regular user of the station and I know that the staff work very hard to ensure the best welcome possible but a major overhaul is required. This evening I attended a hurriedly-arranged protest against the killing of people on aid ships to Palestine. I was distressed to hear that Dundee man Ali El-Awasi is on the flotilla and that his family have been unable to make contact with him yet. I do not know Ali but I do know other members of his family including his father Professor Abd al-Fattah el-Awasi. I hope that he is found safe and well soon. Ali's brother Khalid made a real plea from the heart during the protest and to hear about the reality of the situation in Palestine through the stories of his family. At tonight's rally it was great to hear that there was cross-party condemnation of the actions of the Israeli government. 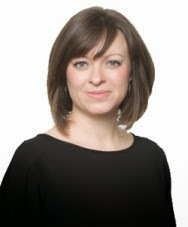 I was pleased to hear from my colleague Marlyn Glen MSP who spoke with real passion about this situation. I am a member of Tayside Fire and Rescue Board and last year I was pleased to meet with a group of firefighters from Dundee's twin town Nablus. The FBU and the Fire and Rescue Service worked together to ensure that spare firefighting equipment was being sent to Palestine, I am disappointed to say that this equipment was in the flotilla and it appears will not get through. The Shadow Foreign Secretary David Miliband has made clear that Labour condemns the killing of innocent civilians. I am a member and strong supporter of Amnesty International and I fully support their stance. It is clear that there needs to be justice in the Middle East and that only a just peace will lead to long-lasting peace. On Saturday along with many members of the local community and some of the other West End councillors I took part in West End Graffiti Removal. 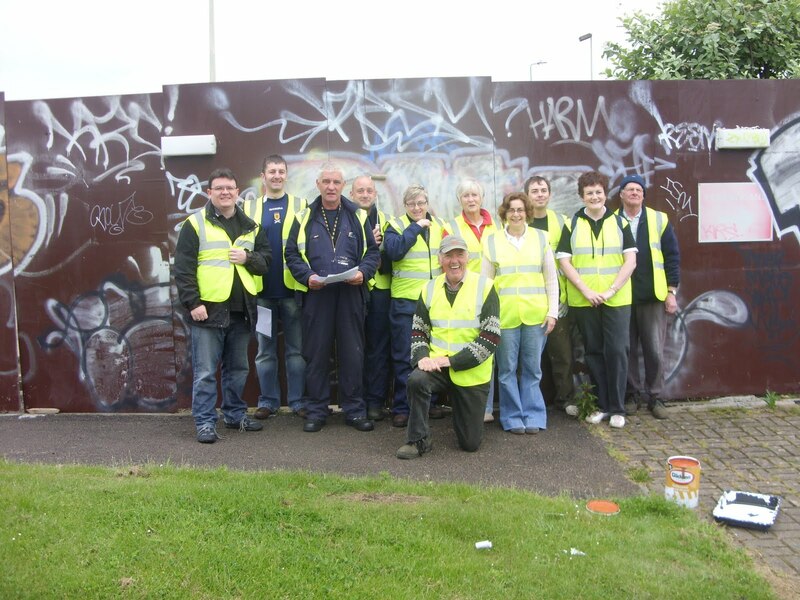 The photograph shows some of the group (I'm on the left) prior to painting at the former Homebase site. I was delighted to take part in this event which demonstrated that the community is concerned about their area. We made a small contribution to cleaning up the area. I think that we should have a zero tolerance approach to graffiti and that the City Council, the police and the other relevant bodies should work together to deal strongly with the menace of graffiti. I will be speaking to council officers to see if we can implement such a policy. I would also pay tribute to those who took part in these efforts over the past couple of days. I particularly welcome the contribution of the council officers who made the event possible.